'The United States looses so much money on Trade with Mexico under NAFTA... that I would consider closing the Southern Border a profit making operation,' tweets president. 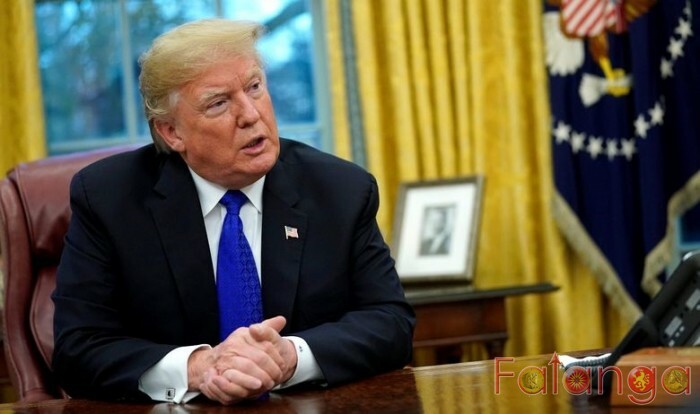 Donald Trump has threatened to “close the southern border entirely” if congress will not end a partial government shutdown by funding a wall between the US and Mexico. The American president claimed in a flurry of tweets that shutting the border would be “a profit-making operation” because the country loses “soooo much money on trade” under the North American Free Trade Agreement (NAFTA), which allows labour mobility between the two nations. His comments come as a partial government shutdown over the border wall looks set to continue into 2019. Democrats have refused to sanction specific spending on the wall, although they have indicated they would be open to funding border security in general, while Mr Trump has refused to back down on the demand. He tweeted: “We will be forced to close the Southern Border entirely if the Obstructionist Democrats do not give us the money to finish the Wall & also change the ridiculous immigration laws that our Country is saddled with. Hard to believe there was a Congress & President who would approve! Mexico’s President Andres Manuel Lopez Obrador, when asked about Mr Trump’s tweets, told reporters that it was an internal matter for Washington. “We take great care of the relationship with the government of the United States,” Mr Lopez Obrador said. “Of course we will always defend our sovereignty ... We will always protect migrants, defend their human rights,” he added.